Great content is the backbone of good SEO. Ensure that your blog posts and premium content are relevant to your audience, tailored to your specialty and location, and full of empathy. Earlier this month, Google employee John Mueller ran a Webmaster hangout to answer questions for website owners who want to learn how to win the search ranking game. He reminded listeners of an important lesson: that, at the end of the day, SEO isn’t really a “game” at all. Midway through the hangout, one website owner lamented that their website provided fast performance and optimized keywords, but it still wasn’t ranking well in search results. Mueller responded that he often sees companies “focus on a lot of the technical details and forget about the bigger picture” when it comes to SEO. Mueller is right. While it’s important for websites to be technically optimized for search engines, all of that work is worthless without good content to go along with it. That may seem extreme, but it’s true — let’s break down why that is. 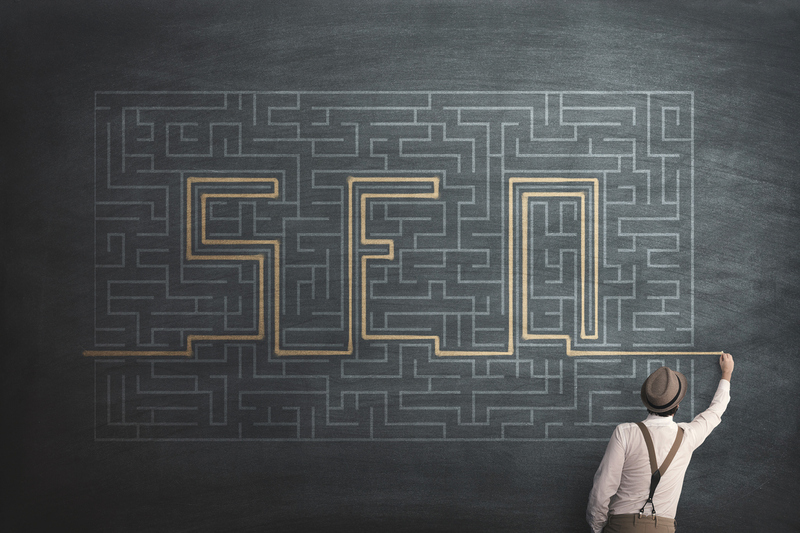 If your site is highly optimized for certain keywords, that’s a great start to your SEO strategy. However, if your content doesn’t line up with actual search queries, then your optimization is pointless. For example, say that you’ve included the search term “medical practice in Ohio” across your website, but your potential patients are actually searching for “PCP in Columbus.” If you haven’t covered all your bases, you’re bound to miss out on patients. Fortunately, this problem has an easy fix: keyword tools like Google Keyword Planner, KWFinder, and SEMrush. These keyword tools can help you to figure out exactly what patients are actually searching for. From there, you can develop content that directly responds to those search queries. For example, if you’re a chiropractor and see that queries for neck pain are on the rise, you could write a series of articles addressing potential causes of neck pain. 2. Your content must be competitive. There’s a lot of competition out there for search engine rankings, which is why so many people do think of SEO as a game. However, if you’re a small or independent practice, you’re going to have a difficult time competing with larger, established hospitals or practice networks for rankings — and if you have your eye on generic search terms, you’ll never come close to winning. Smaller practices can bypass some of this competition by targeting long tail keywords. Using keyword planner tools like SEMrush, you can find terms that are slightly less popular, but can still offer your medical practice a chance to shine. Because they’re not searched as often, your competitors are less likely to have written content related to them, allowing you to snag additional traffic. 3. Your content must be localized. For most medical practices, the primary patient base is local, so there’s no need to focus attention outside of a local area — in fact, you stand to benefit if you draw attention to your specific location. This could be as specific as your state, city, or even neighborhood. One way to do this is by mentioning your location in most pieces of content you produce; this way, when someone searches “knee physical therapy Summit, New Jersey,” you’re likely to appear. You should also ensure that your practice information is up-to-date on Google My Business and other search/review platforms, so you consistently appear in location-based search results. 4. Your content must be human. “Content stuffing,” or the practice of loading blog posts with search keywords to inflate rankings, is a thing of the past. In fact, Google has updated its algorithm so that artificial or overly repetitive keyword use will actually count against you. You’ll be far better served by writing informative content that you and others actually want to read. Google’s algorithm will reward you accordingly, and readers will be far more likely to stay on your website and potentially become patients.